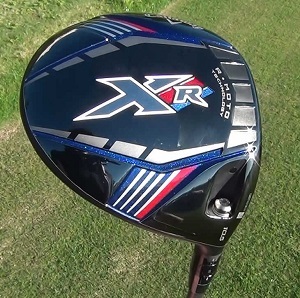 Unlike the last few drivers Callaway has released, the XR has no gravity core, no moveable weights or any other Centre of Gravity (CG) moving technology. Apparently it is just built for "outrageous speed" and the "race inspired" graphics certainly look like someone in the design team is a BMW M sport fan. The only concession to adjustability is the usual Callaway Optifit adjustable hosel that enables you to change the loft across a range of 3° and 2 different face angles. As I have mentioned before in Callaway reviews, you need to get the right initial loft as if you want 10° then you need to come up 1° from the 9° head as you can't get there by coming down from the 10.5° head. So does it all work? 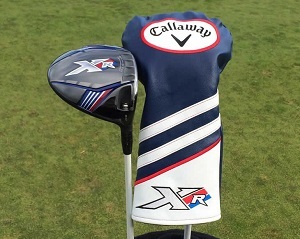 Callaway claim it is 2.3 mph faster than the X2 Hot driver, which would probably add another 5-10 years for most mortals, and it certainly felt pretty powerful at impact.